Developers paid $4.35 million recently for a little over 5 acres on the northern riverfront in downtown Wilmington with plans to build a $35 million luxury apartment project. 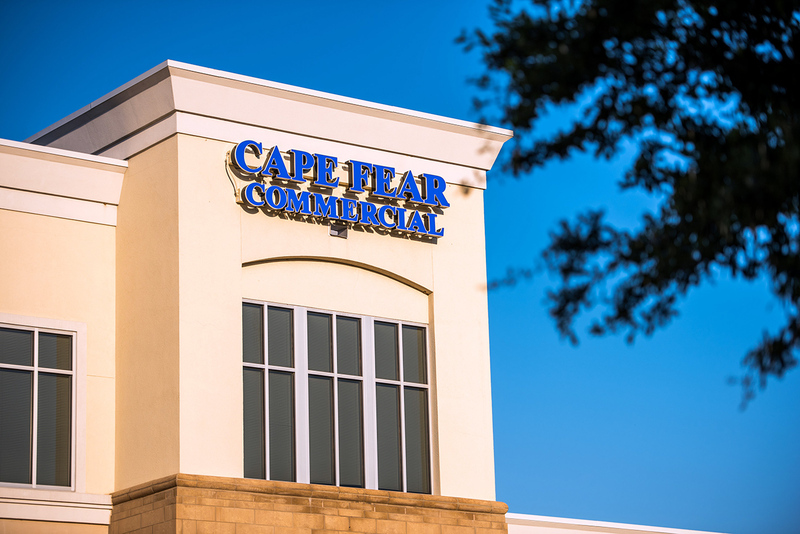 Wilmington-based commercial real estate firm Cape Fear Commercial announced this week that it had closed on the sale of 111 Cowan St., also known as the Upper Dean tract, across from Sawmill Point Apartments and the Cape Fear River. The site is also next to PPD’s headquarters and the site where the city’s North Waterfront Park is planned. An entity controlled by Charlotte-based DPJ Residential LLC purchased the property. 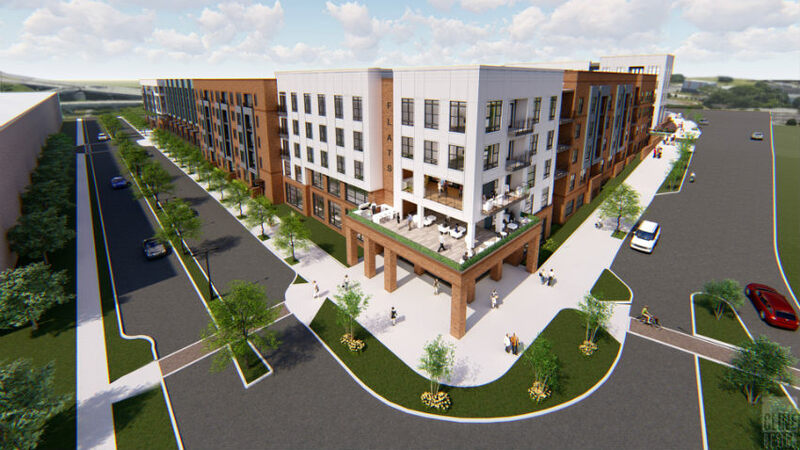 The project planned for the site, expected to be called The Flats on Front, is under development by Flyway Residential, a joint venture partnership between DPJ Residential and Chaucer Creek Capital, according to D. Porter Jones of DPJ Residential. 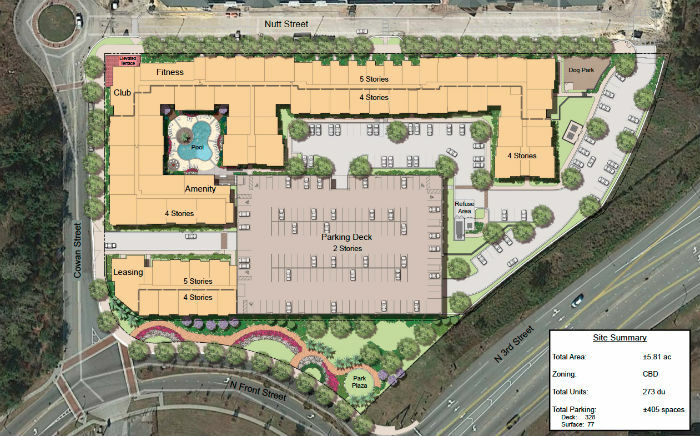 The development will also include a pool, dog park and parking deck. DPJ Residential’s first project in Wilmington was the Mayfaire Flats, a 240-unit apartment community on Sir Tyler Drive off Military Cutoff Road. Brian Eckel, Paul Loukas and Hank Miller of Cape Fear Commercial represented the seller, Paragon Financial Investors LLC, in the downtown Wilmington transaction. Nicholas Silivanch and David Branton of Eastern Carolinas Commercial Real Estate represented the buyer. Silivanch said ECCRE is still on the lookout for additional properties for the buyer that could hold luxury apartment projects. “The downtown apartment market continues to evolve as well as the growth of downtown residential, which should only help to further the city’s progress toward bringing national retailers to downtown Wilmington,” Silivanch said.